I’m so excited because Envision Festival has announced the 2019 music lineup for the ninth edition of this community built 4-day music & arts festival!!! Challenging the status quo, Envision 2019 is a music and art festival, locally crafted to deliver a new, holistic spin on the conventional music listening experience. Held between February 28th and March 3rd in a gorgeous ocean adjacent jungle in paradise on the Pacific Coast of Costa Rica, the lineup will include heavyweight performers alongside stylish, avante garde talent from the most culturally rich underground communities in Europe and the Americas. I love how the lineup is culturally diverse and still arrives stacked with a bevy of talent with an unmistakable must-not-miss allure. General admission tickets, Early Arrival passes, and VIP packages are available via their Website, but don’t miss a chance to get one! 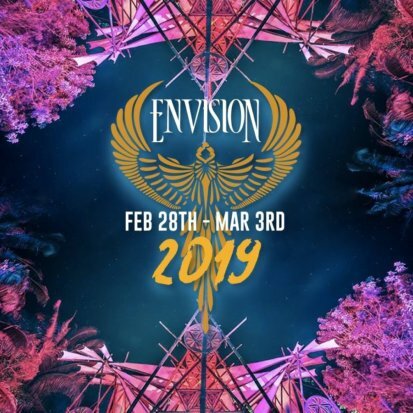 RSVP on the Envision 2019 Facebook Event Page and sign up for the newsletter to stay in the loop with upcoming Envision Festival news, application openings, workshop announcements and more.